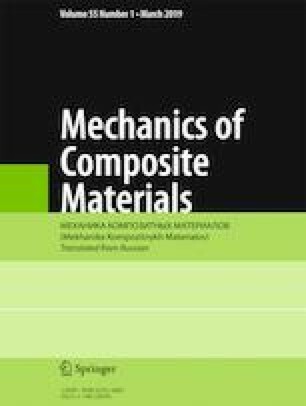 The structure and mechanical properties of a composition on the basic of polycarbonate filled with three types of dispersed particles (submicron corundum, micron boron nitride, and glass fiber ones) were investigated. It is shown that the method of sample preparation proposed ensures a uniform distribution of filler particles in them. Slight changes in the supramolecular structure of polycarbonate were seen only in the case of introduction of submicron corundum particles. No such changes occurred in the case of micron boron nitride or glass fiber particles in amounts providing an optical transparency no less than 70%, which can be explained by insufficient interaction forces between filler particles and polycarbonate molecules. It is shown that filling polycarbonate with various fillers allowing the retention of its optical transparency does not make it possible to increase its wear resistance and softening temperature. The weight parts of dispersed filler at which the transparency does not decrease below 70 % are ~0.06, ~0.03, and ~1.0% for corundum, boron nitride, and glass fiber particles, respectively. Translated from Mekhanika Kompozitnykh Materialov, Vol. 55, No. 1, pp. 77-90, January-February, 2019. This study was supported by the Russian Foundation for Basic Research (project No. 18-48-160024).